April 26, 10-year-old Brock Chessell was diagnosed with a tumor growing in his abdomen. They have now been told its liver cancer. He has started aggressive Chemo treatments for approx. 16 weeks. He is monitored closely as the chemo drugs are hard on his heart. The family needs to take time off work to care for Brock, and his father broke his leg the same day Brock was diagnosed. 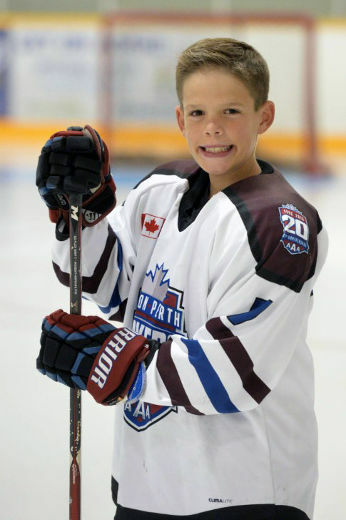 Brock is an avid hockey player, coached by his father. The family is focusing on helping Brock beat this battle. This will be a long journey for the family. This good deed was nominated by Kim Clarkson of our Kitchener branch. Weber Supply has made a donation to the Chessell family.